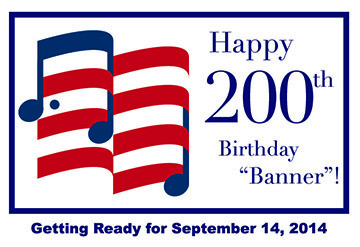 Join our email update service to get periodic announcements about our latest research and multi-media resources concerning the United States’ national anthem “The Star-Spangled Banner.” As we approach the 200th anniversary of Key’s lyric, we will be publishing audio recordings and videos of historic arrangements and musical antecedents that explore the meaning and importance of the anthem in American life. We will not spam you. Emails will come approximately once per month with a few extras around historically vital dates in the calendar. Many of our materials are one-of-a-kind resources and we’ll make most available for free. As Uncle Sam once said: “We Want You!” Fill out the form below and we will send periodic updates to Network Members to keep you informed about the latest “Star Spangled” discoveries. You can unsubscribe at any time. Fill out the form below and click on “Subscribe.” Only your email address is required, but the other fields will help us to get you the information you want and help us to know more about your interests and needs.